Legend is the most sought out male stripper ever to hit the San Francisco Bay area region within the decade. With over thousands of performance’s. He has been seen at Live Male reviews shows. Legends performance’s dominate his other male dancer counter parts. Legend continues to be the topped booked male dancers for house parties every weekend through out the bay area region. He is the “Real Deal” Ladies. No more disappointments with having a male stripper show up who shouldn’t be in the industry and disappointing you and your guests. Legend Delivers a five star and above performance at every show. Call today and make your party this year the one to remember! Call Number Below this Page to Book. 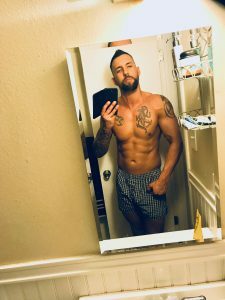 Live Video of the Best Bay Area male strippers – San Francisco male strippers, San Jose male strippers, Oakland male strippers, Hayward male strippers, Fremont male strippers, Pleasanton male strippers, Antioch male strippers, Pittsburgh male strippers, Vallejo male strippers, San Mateo male strippers, Santa Cruz male strippers, Salinas male strippers. One Hour Show Plus- This show is the most popular and is suggested for most all show party occasions. It is the best price for the time. This is best for 6-25 in attendance. 30 Minute to 15 minutes Strip-A-Gram- This show is suggested if you have too many activities in one night and time is short. This is a short quick show and just enough to keep the tradition of having a packed Bachelorette, Birthday night, yet still wanting to include all that you have planned for your guests.